All the features you want in a reliable platform tuned by TH3D. Purchase button at bottom of page and optional add-ons/upgrades. Are you tired of having to constantly replace parts because the manufacturer cheaped out? How about printing upgrades that your printer should have come with or just poor design choices? How about just having someone to talk to should you have a question or an issue? With TH3D you don’t have to deal with any of those things and more. We are a US company and the machines are built in house with full QC before it goes in the box. We’ve spent months refining and testing this machine and we are proud to put it out there for everyone. 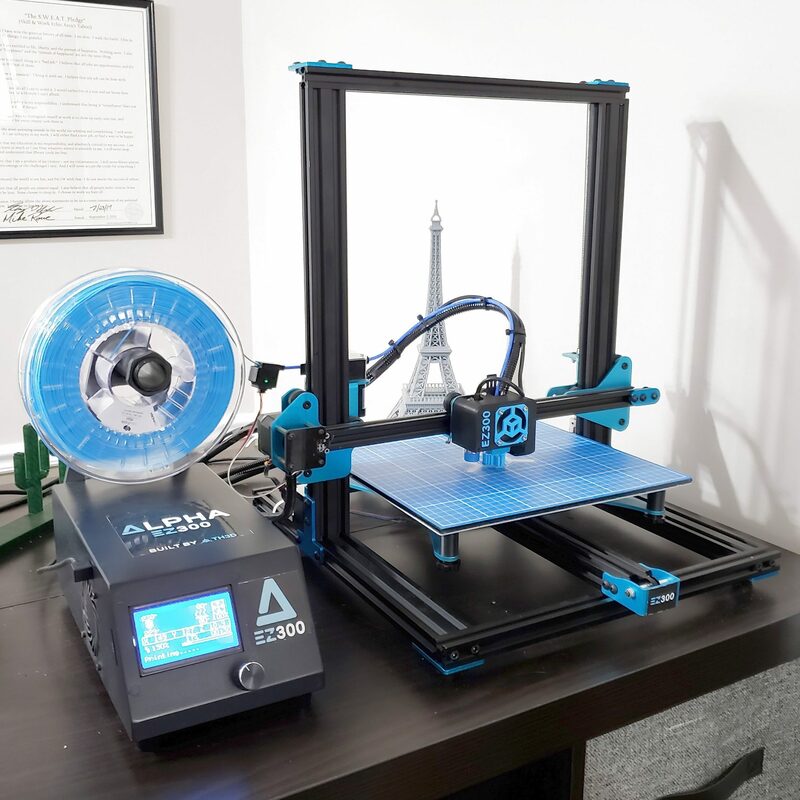 Stop tinkering and start printing with the Alpha! Never Touch Another Bed Knob. With our famous EZABL Auto Bed Leveling system pre-installed, tested, and calibrated from us you will never have to level the bed. Full mesh bed leveling and compensation to make sure that your 1st layer is perfect every time. No knobs. No springs. No pins to deploy. Just consistent, reliable results every time. Pla? Abs*? Flex? Pc*? No Problem. Most 3D printers use hotends with low quality PTFE that is in the melt zone of the hotend. Our printer ships with a hotend fitted with our Tough Tubing enabling easy printing up to 275C with no risk of jams like when using an all metal hotend. Want to print hotter? We include a titanium heatbreak for the hotend for temps up to 290C. The hotend also comes with silicone insulation standard to keep your temperature stable even when the fans are running at 100%. *ABS & PC need an enclosure which is available below starting at $195 shipped in the USA. Marlin is the firmware that our Unified Firmware is built on. Marlin is the industry standard for 3D printers on the market and 100% open source. Without Marlin our machine and most others on the market would not be as affordable. As a thank you for providing a great base to build on, for every Alpha EZ300 sold we make a donation to the Marlin Firmware project. That’s what you’ll be asking yourself when you are printing. Utilizing the latest Trinamic TMC2208 stepper drivers with their latest StealthChop2™ technology on the X/Y axis, we’re able to make a machine that is very quiet with amazing accuracy at a 1/256 interpolated step rate. Need a hand? Tired of Tuning slicer profiles? Every Alpha EZ300 includes full support from TH3D included for the first 90 days and 50% off our hourly support rate after that. We’ve spent 200+ hours meticilously tuning slicer profiles for Simplify3D & Cura* so that you can get to printing right away. Mean Well is a trusted brand by many OEM companies worldwide. 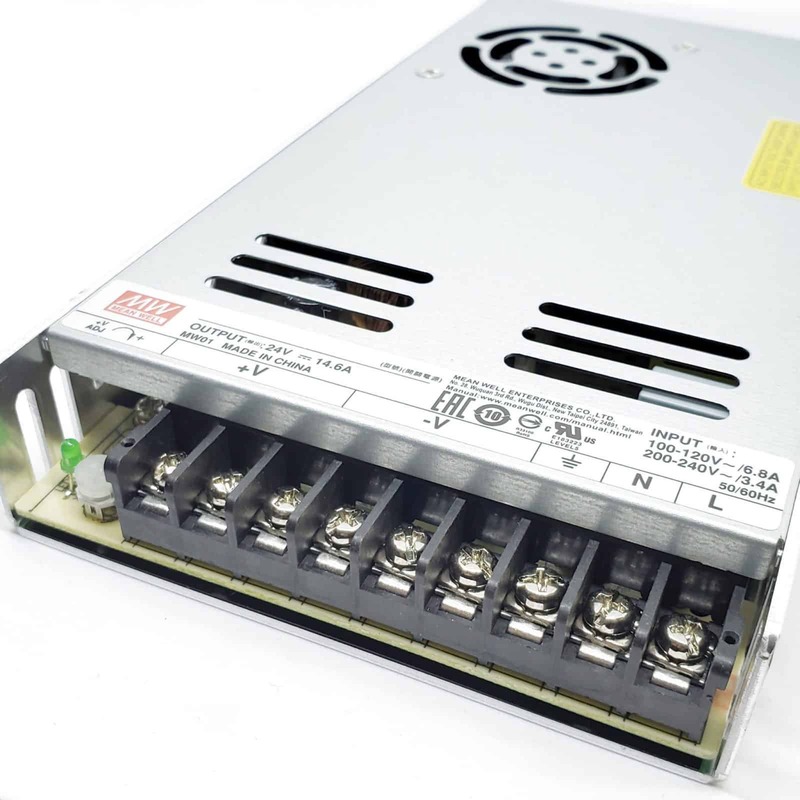 We believe in a safe and reliable machine so we went with the best in class PSU. UL Certified. * Heat up times tested from 21C to target temps. Actual heat up times may vary due to ambient temp changes and noted times are typical heat up times observed in a 21C room. Every machine is built in house to order by our TH3D team in the USA with foreign and domestic parts. Fully tested before shipment to make sure everything is adjusted and working before it ships. All major printed parts done in 100% USA made ABS, no PETG or PLA like some companies. If printers are listed for sale are in stock and will ship next-day. Shipping in the US included in the price. Add-ons may have shipping charged. Available for US customers only currently. Earn up to 1,372 benchies. 87 people are on the notification list.